Production tooling, in contrast to other forms of tooling, is all about producing high volumes of parts in the most economic way possible, in order to influence final product price. Tools of this type may well be in service for over ten years, so we know that reliability and longevity are key features. Plunkett Associates have options to manufacture either in the UK or the Far East depending on client requirements and the associated logistics. Options to import overseas tooling also exist but it is imperative that these are explored at the outset of any new project. Whilst most tools are also moulded by us, tooling can be supplied to the client, or the clients moulder, for production. In these instances development of a tooling specification is always recommended, as expectations and requirements can vary wildly. We would also recommend extended tool trials to ensure the smooth running of any tooling before shipment. Production tooling is nearly always steel with a grade matched to the required tool life and the cosmetic requirements of the parts produced. Tool design may combine components into a single tool, frequently termed 1+1 (for two dissimilar parts) if materials and colours permit. Alternatively we may suggest multi cavity tools if quantities warrant this. 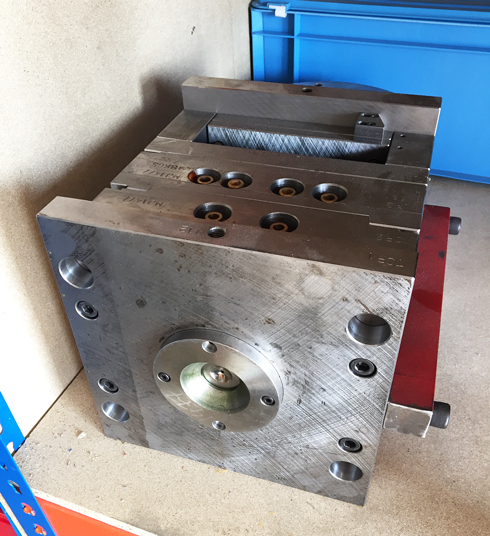 In all cases production tooling will always utilise individual bolsters, unless specifically agreed with the client. Typically our tooling leadtimes (to T1) are around 4 – 6 weeks for UK sourced tools and 4 -5 weeks for Far Eastern source, however we will always try and accommodate your requirements! All tools manufactured can be moulded as well, with part production and shipping to agreed schedules. We can also offer options to hold stocks either in the UK or overseas depending on the final part destination. Plunkett Associates can help you make the right choice – we have developed relationships with a range of suppliers across global networks from Scotland to the Far East giving us a vast number of tooling options that can be tailored to suit your product needs. Additionally, Adept Precision is our very own dedicated specialist tooling and moulding company in the UK. If you are looking for a production programme, please give us a call or upload an enquiry form here.